I can’t believe that it’s been a month since I last blogged. 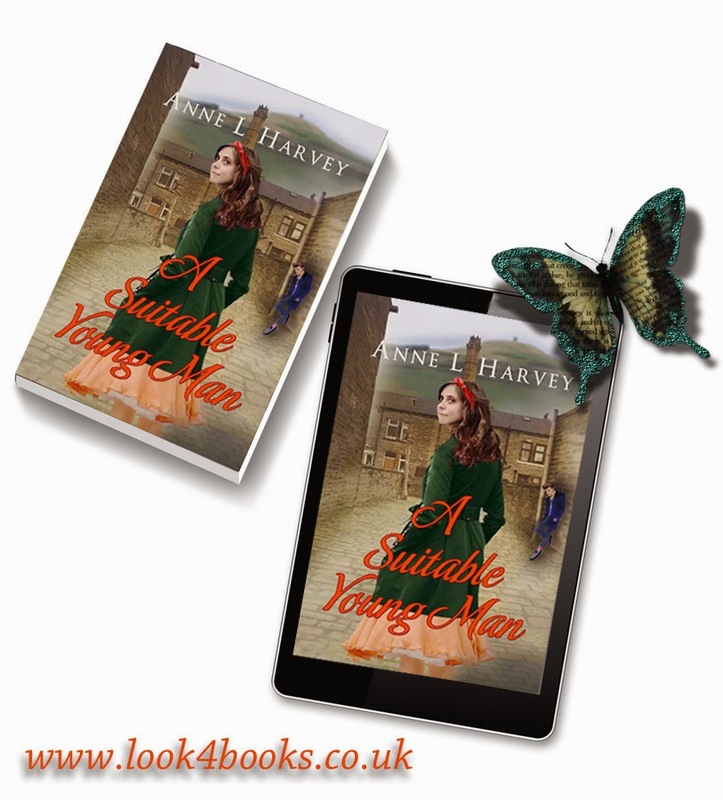 And I know it is because ‘A Suitable Young Man’ is due for release on Monday, 1st December. Pre-orders have been a little on the disappointing side but then I always knew that the novel would do better as a paperback (more on that later). A couple of people who’ve bought it have promised to do a review about it and I’m on tenterhooks about that. Suppose they think it’s rubbish? Hopefully, they’ll find something good and positive about it, even if it’s for the historical accuracy. If I had fingernails, I’d be biting them but I cut them recently! So what have I been doing since my last blog? Self-promotion and more self-promotion, not something that comes easily to me. I joined Twitter a couple of weeks ago but, if I’m honest, I find the constant stream of ‘buy my books’ tweets boring and unnecessary. I’ve done it a few times, of course, one has to, but I prefer the more human side of interaction with only the occasional mention of a book for sale. My friend and fellow Indie author, Lizzie Lamb, has had some brilliant posters done incorporating the cover of her books. She uses the services of Gary Walker of Look4Books so I investigated. For a very reasonable yearly subscription, he does three such posters, lists you on his website www.look4books.co.uk and tweets every few days. Well worth it, I’d say, and one I’ve quickly taken advantage of. The image I’ve used is one of the posters he’s done for me. As I said earlier, I’d always planned to issue my book as a paperback, simply because I think it will sell better. I plan to offer talks to groups and take some copies with me. In fact, I’ve already got one booked for next August to speak at a Horwich Heritage meeting. As my book is set in my hometown of Horwich, I hope to sell a few copies there. But for that I need to physically have some books to offer. To do this, I’m using the services of Createspace. To that end, I bought a copy of a book by Tim C Taylor called ‘Format Your Book With Createspace’ from Amazon. For anyone thinking of following the Createspace path, this is absolutely invaluable. Originally, I bought the Kindle version but soon realised that if I was going to follow his advice, I was going to have to have the print copy, to be able to flick back and forth as required. I can honestly say that it has been a steep learning curve. I’m a touch typist, trained as a secretary, but for Createspace, I had to learn how to do things differently, from setting margins for books, using section breaks instead of page breaks, first line indentations instead of tabs, page numbering from the start of the book. I found the process of uploading the book to Createspace relatively easy though I had to search for the pdf cover template. Even as I write, Berni Stevens, my cover artist, is working on the complete cover so that I can finalise the procedure. Then, I will order a proof copy to check carefully. This can take a few weeks as it has to come from the United States. Whilst I’m waiting for my proof copy to come, I plan to go back to my follow-on novel, ‘Bittersweet Fellowship,’ which I haven’t touched for months. I’m looking forward to tackling that because it was very much a first draft and I need to study the comments made by my New Writers Scheme (Romantic Novelists Association) reader a couple of years ago. So, some challenging times ahead. I can’t wait! 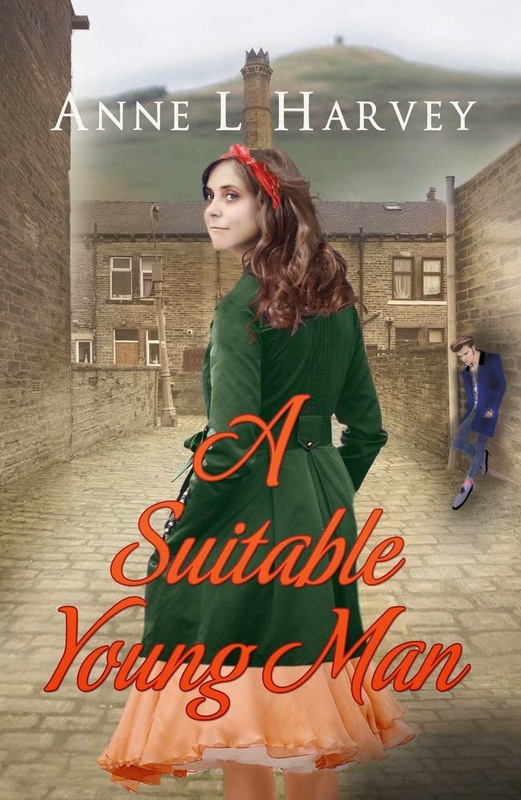 I’m pleased and proud to announce two things, the launch of my new blog and the pre-order publication of my debut novel A Suitable Young Man. The book has been a long, long time in gestation but I’m so excited that I’m finally seeing it being published, first of all as an ebook then, hopefully, as a print book via Createspace. If you pre-order, the book will be delivered automatically to your e-reader on 1st December. Self-publication was a deliberate decision on my part rather than go the traditional publishing route of seeking an agent who, in turn, would seek a publisher on my behalf. This can be a drawn-out process that can take anything from a few months to a few years following which is the actual publishing process, possibly another year. Quite frankly, being in my 70s, I don’t have that much time to wait, especially if I want to get my second novel out there as well. Another aspect of choosing self-publication is that I get to keep complete control over my book and that definitely appeals to me. Of course, there’s the burden of having to do all the marketing and promotion of my book myself but even traditional publishers expect their authors to do marketing and promotion these days. I’m quite proud of the fact that I drew up a marketing plan several months ago and even as I write this, I have it printed as a poster by my screen. It’s got lots of scribblings-out/handwritten additions but it’s all there, including approximate dates. And I’ve made myself available to give talks to various community groups if they’re interested though I hope to have printed copies for that. I’ve already got one date booked for August next year! The cover has been specially designed by the multi-talented Berni Stevens and I’m especially thrilled with it because I think it’s evocative of the period and place. As the novel is set in the real town of Horwich, I had specifically asked Berni to incorporate Rivington Pike, which dominates the town. Berni and I would love it if you could let us know what you think.